Railpictures.ca - Doug Lawson Photo: BCOL 743, ex O&W 9950. BC Rail bought a few of these older Oneida & Western SD-40′s as well as some from Kennecott Copper. The units were all restricted to trailing as the cabs were not up to lead unit standards. 743 was designated RCL as a slave / receiving unit for Locotrol service. | Railpictures.ca – Canadian Railway Photography – photographie ferroviaire Canadienne. Caption: BCOL 743, ex O&W 9950. BC Rail bought a few of these older Oneida & Western SD-40's as well as some from Kennecott Copper. The units were all restricted to trailing as the cabs were not up to lead unit standards. 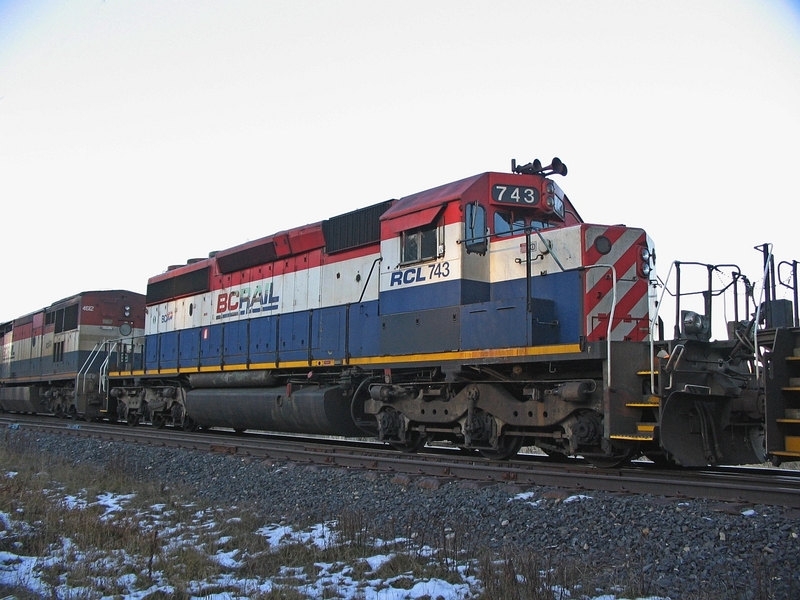 743 was designated RCL as a slave / receiving unit for Locotrol service.